On Monday, September 14 three individuals were arrested after Dallas police searched what they called a ‘stash house’ in Mesquite where they allegedly found $94,000 in cash, hundreds of airline tickets, and pounds of marijuana. Police seized nearly 12 lbs. (5,400 grams) of marijuana from the home located near U.S. Highway 80 and Belt Line Road. They also confiscated two laptops, a money counter, handgun, drug ledger, surveillance system, six cellphones, and marijuana treats/candy from Colorado in searching the home. The three individuals who were arrested include 36-year-old Adrian Clemons, 35-year-old Robert Davis, and 20-year-old Alexia Rey. Another woman was also present at the home; she and two young children were allowed to leave. While Clemons had no comment, Robert Davis, who is reportedly Rey’s boyfriend, claimed he was not involved in the money laundering or drug sales schemes, however he does have a criminal drug history. 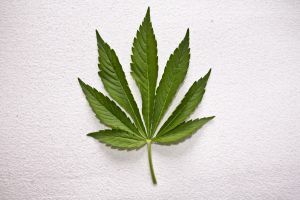 In the state of Michigan, possession of pot is a misdemeanor offense that may result in fines of up to $2,000 and one year in jail, along with a criminal record. However, when an individual possesses a substantial amount of marijuana, police and prosecutors may believe that person intended to sell or distribute the pot, which may result in charges of possession with intent to sell or deliver. This charge is far more serious, and may result in punishment that includes fines of up to $10 million and a maximum of 15 years in jail depending on the amount of marijuana involved. Regardless of the situation, a drug arrest can harm your reputation, employment, and impact your freedom if convicted. It is vital to consult with a skilled Michigan drug crimes lawyer early on to ensure your legal rights are protected, and that action is being taken to protect your freedom and future.